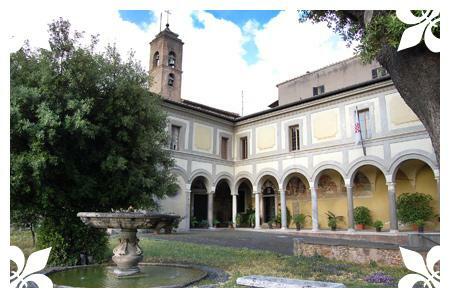 The grant to the Order of the Holy Sepulchre of Jerusalem of the church and monastery of Sant’Onofrio on the Janiculum Hill is linked to some of the most important organizational changes that have taken place within our sodality. On 15 August 1948, Pius XII issued a motu proprio establishing that the Order’s headquarters should be transferred from Jerusalem to Rome, to the above-mentioned church, and that in future the Grand Master should be a Cardinal appointed by the Pope. What is less well known, however, is that the particular favor shown by the Pontiff had a special significance for the Order. In fact, the church still contains reminders of Torquato Tasso, the author of Gerusalemme Liberata, the epic poem that retells the deeds of the crusaders who fought to regain possession of the Holy Sepulchre itself. After wandering all over Italy, the poet requested and obtained shelter at the monastery of Sant’Onofrio and spent the last years of his life there. So the literary heritage of the site and the chivalric nature of our sodality come together in perfect harmony in this location, which also houses a small museum containing a few of Tasso’s manuscripts. 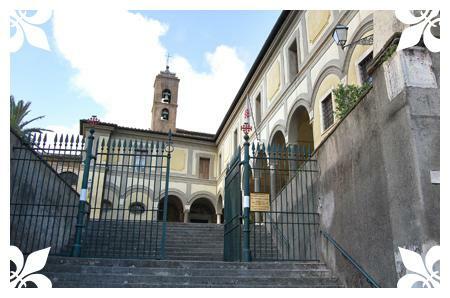 Sant’Onofrio is therefore a place where history, culture and faith have been handed down through the centuries. The buildings date back to the 15th century but there was a hermitage in this spot even before that. Construction of the church began in 1439 and was completed in the 16th century. The sacred building was in the hands of the Society of St. Jerome until 1933, when Pope Pius XI dissolved the association. The location is panoramic, situated close to the path over the Janiculum Hill, where the view of Michelangelo’s cupola on St. Peter’s dominating the surroundings and the boom of the midday cannon put the finishing touches to the evocative atmosphere. Climb the steps to the gate bearing the Order’s coat-of-arms and cross the lovely flowered garden that forms the churchyard. Even on the external walls of the church you can see important artworks attributed to Domenichino and to Sebastiano Strada. Inside, the renaissance style retains something of the gothic; the body of the church is rectangular with cross vaulting, a polygonal apse and five side chapels. The latter are dedicated to Saint Humphrey, to Our Lady of Loreto, to Jesus Christ Crucified, to Saint Pius X and to Saint Jerome. The first chapel contains the funeral monument to Torquato Tasso. The paintings in the apse attributed to Peruzzi and Pinturicchio are very beautiful, as are those in the sacristy. From the portico, walk through the short entryway to the 15th century cloisters to be filled with tranquility and a feeling of complete peace. If you wish to visit the Tasso Museum you will find the door within the entryway itself. This artistic jewel provides a source of enrichment and spiritual growth for anyone who goes there.